Samsung said Thursday that the long-awaited update to its Galaxy Camera will become available for $449.99 in mid-March, and that the $999 NX30 Smart camera is available immediately. 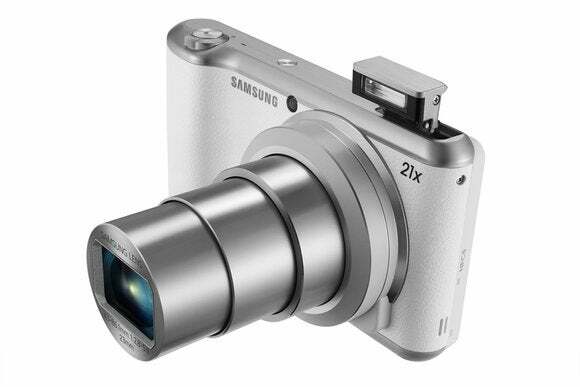 The Galaxy Camera 2 is built around the premise of integrating apps and other features typically found on handsets. The camera will run on Android 4.3, and have a 4.8-inch LCD screen and a quad-core processor. The new camera is a followup to the original Galaxy Camera, which was bulky and oversized compared to other point and shoot cameras. At 283 grams, the new camera is lighter and more portable. With a 16.3-megapixel CMOS sensor, the camera has a 21x optical zoom and up to 3200 ISO. The device will have 8GB of internal storage, and a micro-SD slot that can accommodate storage cards of up to 64GB. The camera will be able to shoot full high-definition video at a 1920 x 1080-pixel resolution and 30 frames per second. It will shoot video in AVI, MP4, MKV, FLV, WEBM and WMV formats. The camera has also advanced its predecessor’s connectivity features, so images can be transferred more easily. Like smartphones, it will have Wi-Fi, Bluetooth and NFC so the camera can connect to other devices wirelessly. Users will also be able to access Google’s online services such as the Play app and media store, Maps, Hangouts and YouTube. 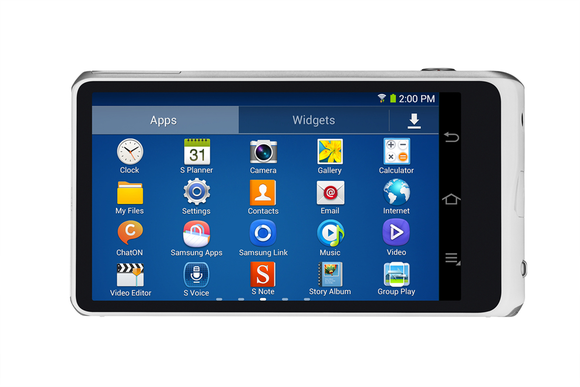 The smartphone interface on the Galaxy Camera 2 makes it easy to share files with the company’s TVs and mobile devices. Samsung’s Kies software will allow transfer of pictures from one device to another. 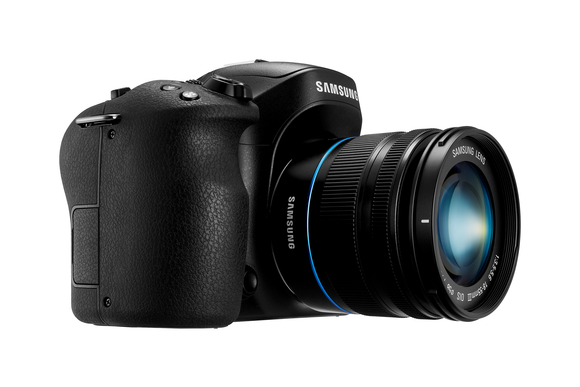 Samsung also announced the immediate availability of the NX30 Smart camera, which will cost a whopping $999. As opposed to the Galaxy Camera 2, the NX30 is meant to be more than a point-and-shoot camera. The NX30 was previewed last year. The new camera’s richer feature set makes it more expensive than the Galaxy Camera 2. It has a 3.0 super AMOLED screen, a 20.3-megapixel sensor, and ISO up to 25600. It also has Wi-Fi, Bluetooth, NFC and HDMI 1.4a ports. It can shoot high-definition video at a resolution of up to 1920 x 1080 pixels. One standout feature is the 1/8000 second shutter speed, and the ability to take pictures at different angles with a tilting viewfinder in continuous or single-picture mode. The camera is also closely integrated with Flickr, Dropbox, Facebook, YouTube and Picasa, Samsung said. The NX30 smart camera comes bundled with Adobe Photoshop Lightroom 5 software. The camera also supports many features to stream and share images and video wirelessly to Samsung TVs and mobile devices from the company.